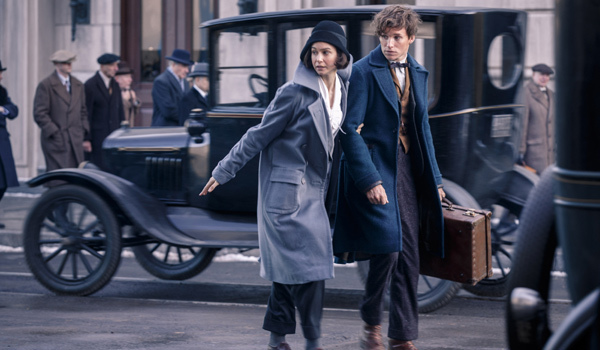 As Fantastic Beasts and Where To Find Them hits theatres today, actress Katherine Waterston tells us what to expect. With films like Inherent Vice and Steve Jobs to her name, itai??i? ?s surprising that Katherine Waterston is the only member of her family that didnai??i? ?t get cast on the hit legal drama series, Law & Order. The 26-year old, however, is all set to be a law enforcement officer in the magical world, thanks to her role in Fantastic Beasts and Where to Find Them. The movie sees Waterston essay the role of an ex-officer of Magical Law Enforcement.Starring alongside the likes of Eddie Redmayne, Alison Sudol, Dan Fogler and Ezra Miller among others, the New York-based actress talks about the film, her character and her co-star. My first memory of the Harry Potter series was my little brother just falling into those books and not resurfacing until he was done. When it slowly dawned on me that I had been invited into this massive pre-existing entity, it was quite an overwhelming realisation. Did you find it easy getting into Tinaai??i? ?s character? To me, it all feels intuitive. Connecting to a character is like connecting to any human beingai??i? ?either you like them or you donai??i??t. Tina seemed to totally doubt herself and suspect that she wasnai??i? ?t good enough. And, yet, simultaneously, she possessed a confidence, a conviction that she could be great. I found that quality really beautiful and a condition, I think, that any human being can relate to. Please tell us about your characterai??i? ?s chemistry with Newt Scamander (Redmayne)? Tina and Newt start to recognise that theyai??i? ?re both outsiders and both a little bit odd, I suppose, and I love that. Theyai??i? ?re both starting to become the people they will be; theyai??i? ?re kind of dipping their toes in. What is interesting about the film is that itai??i? ?s a coming-of-age story about adults. Fantastic Beasts and Where To Find Them releases today.